As some of you know, my wonderful sister, Amira, always goes above and beyond with thoughtful gifts. This year was no different. 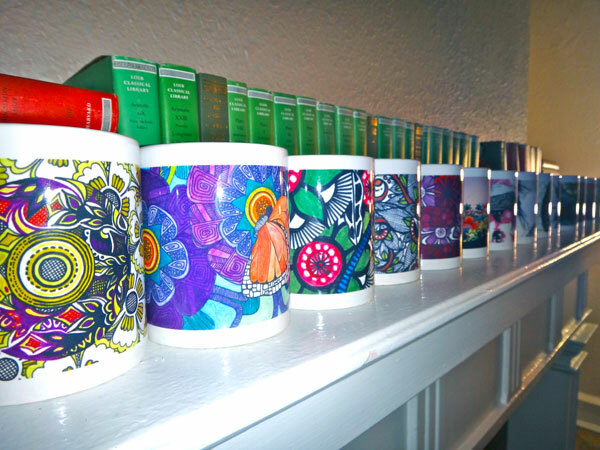 For my birthday, which was Tuesday, she got me 24 unique mugs- each with a different one of my drawings! This entry was posted in drawings and tagged art, birthday, design, drawing, mugs by zanabot. Bookmark the permalink. super cool — of course, I am a bit biased 😉 Happy birthday my sweet! 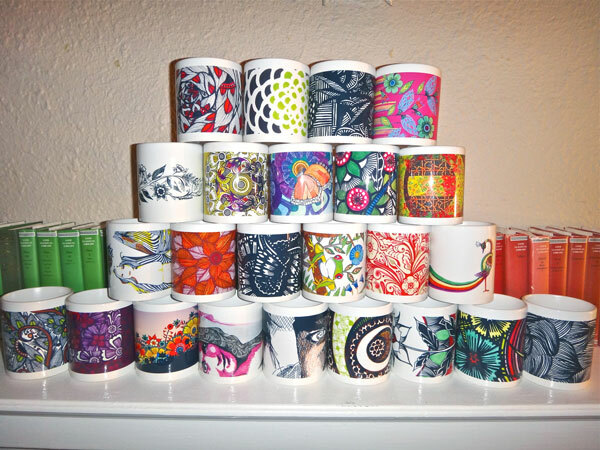 Zana, your art work looks great on these mugs. I’d love to get a couple for my house (if you get more made).